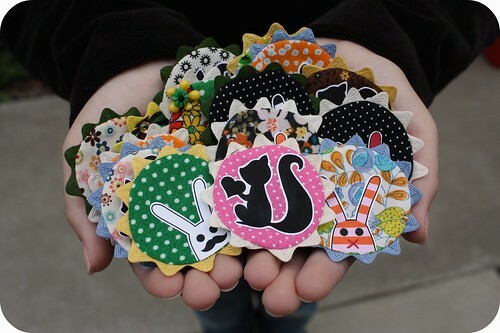 Brooches, originally uploaded by Squirrel Junkie. YAY for wearables! Made these a few nights ago and am quite happy with how they turned out so far! Will be adding them to the SJ Etsy soon! Keep an eye out for more information and a date/time.